For this topic we are learning to; talk positively about ourselves, to show sensitivity to others' needs and feelings and to know about similarities and differences between themselves and others, and among families, communities and traditions. We learn that we are special because our families are different and we like to spend time in different ways as a family. The teachers talk to us about how we are all unique. We talk about the things we like to do at half-term. We all do different things. We talk about events that we celebrate as a family. We learn about birthday celebrations. We know that we celebrate by sending cards, giving presents, wearing our best clothes to parties, and eating special food. We have birthday cakes, with candles on and we hang decorations like banners and balloons. We make a party house in our role-play areas, make cards and write invitations so people can come to our parties. We plan menus and make food ready for the party. We play party games like musical statues and pass the parcel. We have so much fun finding out about celebrations. We learn that people celebrate in different ways. Some of our Reception children celebrate Diwali. We compare ways that we celebrate occasions like birthdays with ways that Hindus and Sikhs celebrate Diwali. We learn about similarities and differences between us and our friends. We look at our hair, eyes and skin colour and talk about how we are all special because we are unique. We use mirrors to look carefully to make self-portraits. We talk positively about ourselves and talk about what we are good at, what we like and dislike. We know that even though we like different things we can still be friends because it is good to be different. 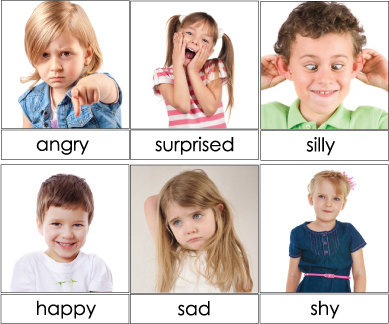 We learn to talk about our feelings and how we show our feelings to others. We learn to recognise how our friends are feeling too. We can help them if they are feeling sad, ask what is wrong if they are feeling cross or ask them to play if they are feeling lonely. As we are all unique we have different feelings at different times. We talk about watching the fireworks for Bonfire Night and notice that we feel different emotions. There are always some of us who do not like the big, loud noises whilst some of us do. Now we can talk positively about ourselves, show sensitivity to others' needs and feelings and know about similarities and differences between ourselves and others, and amongst families, communities and traditions. We can talk about how we are all unique and describe ourselves positively.